Habitat - Woodlands, thickets, sandhills, pine flatwoods, old fields. 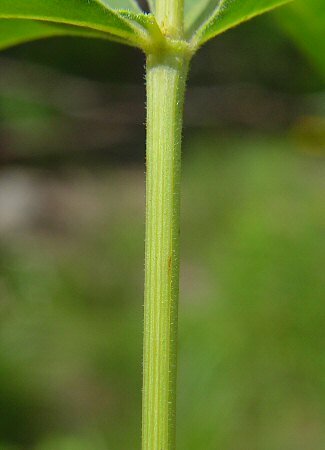 Other information - This attractive species can be found throughout North America. 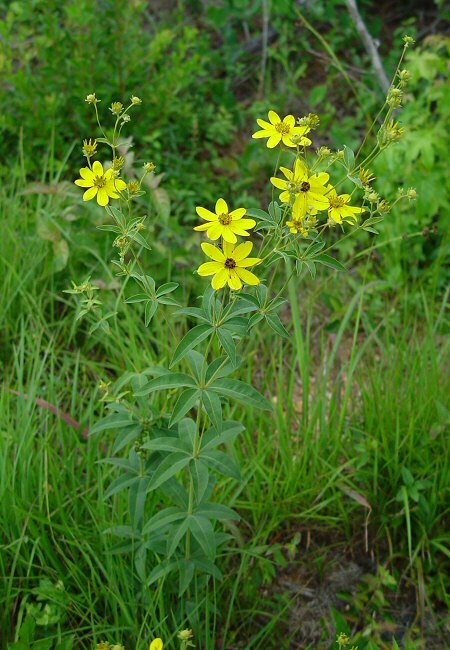 It is a very common species and certainly worthy of cultivation. 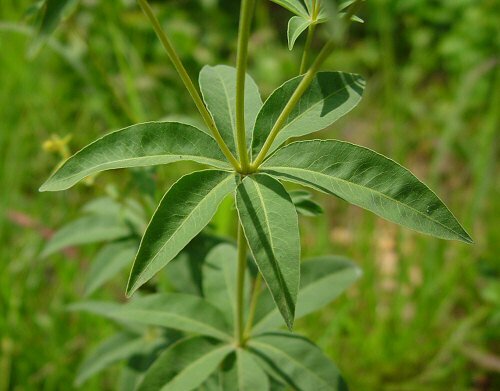 The plant is very easy to identify becasue of its lanceolate-whorled leaves and big yellow flower heads. 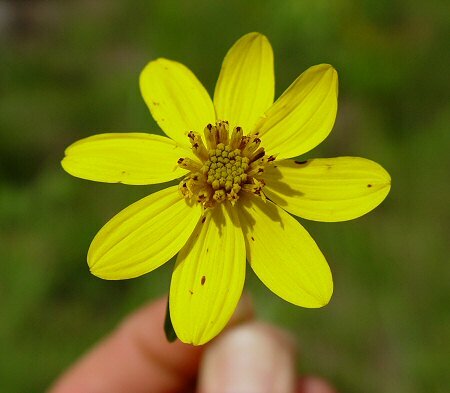 The genus name Coreopsis derives from the Greek "core" meaning "a bug, sweep" and "opsi" meaning "appearance" referring to the achenes which were thought to resemble ticks or small bugs. 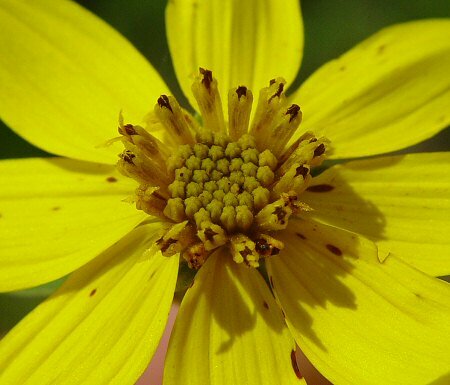 The species epithet major is the Latin word meaning "larger" probably referring to the flower heads. 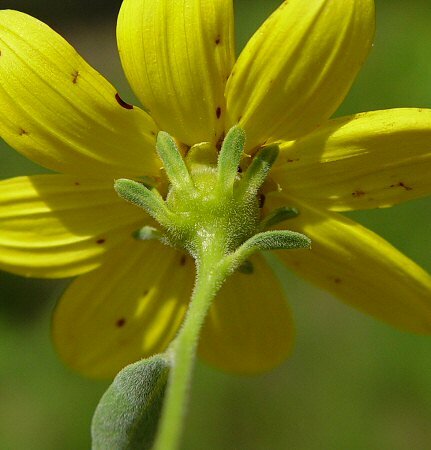 Photographs taken in Lowndes County, AL., 6-4-05.